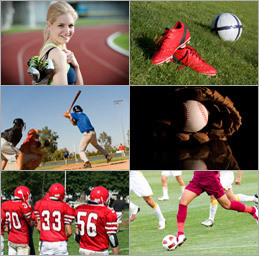 Supporting fun and fitness at work in Scottsdale, Orlando, San Antonio, and other major cities. Basketball tends to bring out the physical competitor in everyone and that is something that your business could benefit from. A corporate basketball team could be the thing that you need to create a more aggressive sales department or a more efficient shipping staff. When you invest your company funds into a corporate basketball team, you will find that it brings more positive returns than you had expected. 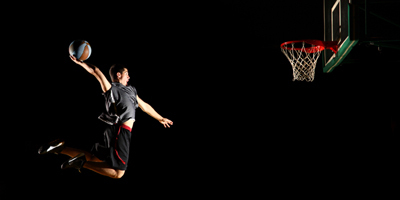 The game of basketball was created as a form of physical fitness that people of all ages could enjoy. As the game has evolved, it has become a game that demands the very best from everyone who plays it. When you have a corporate basketball team, you have a way of encouraging your staff to become fit and remain physically active. One of the reasons that your sales staff may not be as aggressive as you would like it to be is because they do not get enough competition when they are out of the office. A corporate basketball league is the ideal solution to creating a competitive culture in your office that benefits the company. Not only will your staff be more physically fit, but they will have those competitive juices flowing as well. There is something about basketball that forces players to reach a level of teamwork that they would not normally reach in any other situation. Not only do teammates have to anticipate each others' moves, but they also need to be able to anticipate the play of the opposition as well. A corporate basketball team will be the ultimate team building exercise for the staff members who really need it. When your warehouse staff is in sync, orders go out faster and they are accurate. That is the kind of teamwork that you need to make your company successful and that is the kind of teamwork that a corporate basketball team encourages. Along with improving teamwork, basketball also helps people to anticipate the moves they need to make before they happen. When you start up a corporate basketball team, you will start to notice that your staff members are anticipating company needs and making better decisions. In basketball, you need to think fast if you want to make the right decisions. When those kinds of skills make their way into the workplace, then that benefits the company. When you choose a corporate basketball league, be sure to choose one that is held in a facility that allows spectators. You can significantly enhance the positive impact of your corporate basketball team when it is something the whole company can enjoy and be a part of. Some people enjoy watching basketball and it can be something that your staff members can look forward to each week. A corporate basketball team also gives some of your staff members the chance to learn about the game and get involved in something new. When you open up new doors for your employees, that helps to improve morale and strengthen loyalty to the company. When a corporate basketball team is done properly, it encourages everyone to get involved and creates a program that everyone can enjoy. A successful corporate basketball team can be one of the things that employees and management brag about to others. When you have a successful basketball program at your company, that can be used as a recruiting tool that could help to bring in key employees and give your company an edge. Why should you invest in a corporate basketball team? When your staff has a constructive way to get exercise and compete in an organized fashion, it boosts morale and improves the culture in the workplace. You will notice an increase in productivity after starting your corporate basketball team and that can be difficult to put a price tag on. When it comes to your staff, a corporate basketball team can be a way to strengthen loyalty to the company. If the company is encouraged about the corporate basketball team, then the staff will embrace it as well. The enthusiasm for the corporate basketball team can be easy to sustain and it can also spread to the rest of the company. The corporate basketball team becomes something your employees want to talk about at the water cooler and it takes a prominent role in your company culture. In the end, investing in a corporate basketball team is something that will bring significant returns for your entire staff and your company.